What is the best electric guitar for the money? When starting out, you'll want to get the biggest bang for your buck out of your next electric guitar. If you're looking in the higher, premium price range, we recommend going with the Fender Standard Stratocaster (Amazon). The Fender Stratocaster has everything: the looks, recognition, performance, and after-market service at a mid-tier price. And if you're looking in a lower, budget price bracket, the best affordable electric guitar is the Epiphone SG Special (Amazon). The Epiphone SG is one of the best value guitars for beginning guitarists due to its high-quality internals, overall build quality, and its great finish / playability. Learning to the play the guitar is one of the best investments you can make with your time. 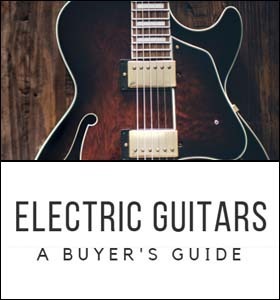 Whether you’re picking it up for some good old-fashioned self-improvement or just want to find the best beginner electric guitar so you can emulate your favorite rock gods. No matter your goal, I'm sure we can all agree that the electric guitar is undoubtedly one of the coolest instruments to pick up and play. And if you’ve spent more than five minutes researching models, you’ll have realized that there are hundreds, if not thousands of different guitars to choose from. Dozens of different brands all claim to be the definitive weapon for your musical arsenal. As you can imagine, with that many options on the table it can be hard to narrow down exactly what you need. But we're here to help! We did a lot of the legwork up front to give you the absolute best models for a variety of play styles and budgets. We’re going to break down our picks for the best electric guitar for beginners across four different categories. Whether you’re stuck with a meager budget or have nearly unlimited funds for your music ventures, it's all the same -- let's find you a fantastic guitar that fits like a glove! Whenever you purchase an instrument, you always want to make sure that the core components are of the highest quality. Quality of construction, quality of the internals (the electronics inside), and intonation. When it comes to the construction, the keys are quality materials and finishes. For example, a guitar cut from a solid piece of walnut is going to be more expensive than basswood guitars with a bolted-on neck and a laminate finish. Sometimes, however, a guitar is greater than the sum of its parts, and that comes down to the actual manufacturing process. Many cheap guitars you might find at Wal-Mart for 50 bucks are so cheap because the manufacturing standards and quality control are virtually non-existent. You may gawk at the price of Custom Shop models, but they’re expensive because they’re hand-crafted by experts and are individually tested before being rolled out to market. 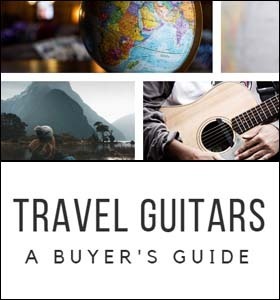 Therefore, if you’re going to buy a cheap guitar, you need to buy one from a trusted brand that also handles high-quality materials and models. This will give you some assurance that the staff knows what they’re doing at each stage of the production process. The defining aspect of an electric guitar is, unsurprisingly, its electronics. Instead of being a hollow body, the internals are carefully wired and soldered so that they can provide clean, rich sounds when plugged into an amplifier. These electric signals are not foolproof though, and if cheaply made they can result in muddy notes even when plugged into a clean channel. Worse, some feature internals that are so poorly shielded that electrical interference results in hums and distortion while you play. Good luck dealing with that on stage! Our models have been carefully selected for the quality of their internal wiring. The final aspect we took a careful look at was the intonation of each guitar. The intonation refers to the guitars ability to deliver crisp, clear notes on each string and throughout the fretboard. One caveat is that the intonation can be adjusted by experienced luthiers, but it’s rather expensive and isn’t quite worth it on our budget models. So, we made sure to only pick the guitars that will deliver high-quality sound right out of the box. Without further ado, let’s take a look at our picks. Beautiful resonance, quality construction, and incredible sustain. This is a very versatile, high-quality guitar. Contains EMG pickups that are great for pushing heavy, aggressive tones through your amp. Excellent for metal and hard rock. A very lightweight and comfortable guitar that delivers some great punchy volume and crisp clear tones. Beautifully designed, minimalist guitar. Its mahogany body and neck give it a unique heavy sound, supported by its active EMG pickups. Has a very unique tone that evokes more treble. This is a great bang for your buck budget guitar with some quality; excellent fit and finish. Light and comfortable to play, can be ideal for younger players. This is a great budget guitar. Has some of the best internal electronics for a budget guitar - this is a great pick for newer players. Eliminates unwanted noise. A simple guitar that gets the job done. This guitar's design focuses on playability, and most importantly, it won't break the bank. Gibson has been one of the premier guitar manufacturers in music history since their inception, so it almost goes without saying that if you have the cash to burn you’ll want to purchase a Les Paul of your very own (or build a Les Paul). The two-piece mahogany body resonates beautifully as you play, and its quality construction gives some incredible sustain for that classic rock and “bluesy” feel. One stand-out feature is the push-pull pots, which allow you to customize your bridge and neck pickups endlessly to give you an incredible variety of tones to suit your needs. We’re not kidding when we say that it’s so versatile, it could be the only guitar in your collection and keep you happy forever. Beginners might not recognize the name, but Schecter has been delivering high-performing guitars with unique aesthetics aimed at the most dedicated of metalheads. Whether you prefer the heavy or sludge varieties, you’ll love the EMG pickups that are great for pushing heavy, aggressive tones through your amplifier. No, it’s not American made, but its South Korean origins still give it some higher quality control standards, and it comes with an adjustable truss rod for easy at home service even if something goes wrong. This headbanger’s dream lives up to its name by raising hell each and every time you take it on stage. It’s one of the most iconic guitars in music history, but that doesn’t mean it has to be the most expensive. This Made in Mexico Stratocaster delivers all the sound and performance you expect from the Fender name for a fraction of the price. Its lightweight and great hand feel will give you hours of comfort as you practice through your chords and scales, and when plugged into an amplifier you’ll be amazed at the punchy volume and crisp tones. The tremolo occasionally needs a slight adjustment as it can come loose after extended playing and the fretboard only features 21 frets instead of the 22 on the Pro series, but none of that should detract from the quality of the rest of the package. Sure, it’s at the highest end of this price bracket, but what you get for the money is a beautifully designed, minimalist guitar that delivers high-quality features where it matters most: the sound. Its mahogany body and neck give it a unique, heavy sound that is supported and enhanced by the active EMG pickups, making it ideal for those enamored with thrash metal. Its Grover tuners are incredible at keeping your guitar locked into one particular sound endlessly, meaning you’ll spend less time fiddling with your strings, and more time playing. Most importantly for this genre of music though, the electronics are superb. There’s no hum and no interference. Just crank in your desired level of gain and rock on. Ibanez is one of the kings of budget focused models, which makes them an ideal company to get your feet wet in the world of electric guitars. They’ve made their reputation by using solid materials with above average quality control to cater to mid-range players looking for good bang for your buck. That means you can expect a great fit and finish when it comes to the intonation and action, and a very unique tone that tends to fall under the treble side of things. There are a few minor gripes here such as the rough fret wires making bends difficult, and some minor fret buzz, but they don’t really interfere with casual playing and are easily fixed by tinkering with the pickups and truss rod if you want to take your performances to the next level. The bottom line is that for the money, this model is tough to beat. Kerry King made his name rocking out for thrash metal band Slayer, and with any luck, his signature guitar from B.C Rich can take you to those same stratospheric heights. It’s light and comfortable to play, making it ideal for younger players with weaker arms and hands, while still maintaining standard nut widths and scale lengths to make them suitable for adults. At this price range, you begin to compromise on some versatility and refinements. For example, this model only has two knobs for volume and tone instead of four to control the pickups independently, and there are some minor faults out of the factory if you get unlucky. However, these cases are rare and will quickly be rectified by some great after-purchase warranty care from a company that cares about their consumers. Our first Epiphone epitomizes their approach to value-oriented products with their SG Special, the unique, flashy model that features some of the best internals on a budget guitar. The humbuckers will eliminate any unwanted noise, giving the electronics the chance to ring through your bedroom or even the stage. Play it side by side with even a premium model and you’ll be shocked at how accurate your high and low notes ring out, which will keep this guitar relevant in your arsenal even long after you’re no longer a beginner. A note with these more affordable entries though, is that as the wood becomes cheaper the bodies of the guitar begin to be made with more and more pieces. This can affect the sustain and resonance of your model, but aside from that, there’s no real downside. Give the action a quick set-up before you start playing, and you’ll be golden. Sometimes you don’t want to fuss around with expensive internals and extensive set-ups, and in those cases, your best bet is to turn to a Squier, and this Telecaster is as good as any. They’re simple and have fewer features, but that generally means they’re less complicated, easier to service, and simple to maintain. Everything out of the box from the pickups to the strings is quite decent for the money, and its design is focused on playability. This stretches from the “C” shaped neck down to the ergonomic body shape. If you’re a fan of that classic “tele twang,” then this is your best bet at a price that won’t break the bank. The most expensive electric guitars are never the best value. They’re undoubtedly the best, but the improvements you get for the thousands of extra dollars are so minor only a professional would be able to tell the difference. That’s why if you’re a beginner, you want to be getting the biggest bang for your buck, and our first pick in the higher price range is the Fender Standard Stratocaster (check price on Amazon). It has it all when it comes to looks, recognition, after-market service, and performance, for a great mid-tier price that’s almost impossible to beat. It’s half the price of the top of the line models but sounds and plays just as nicely. In the cheaper price bracket, the best affordable electric guitar is undoubtedly the Epiphone SG Special (check price on Amazon). It’s one of the best values for beginners thanks to its high-quality internals, great finish, build-quality, and playability. Some other models like the Squier (Amazon)are comparable, but even as you improve the SG Special (Amazon) will be a guitar you can still turn to for a consistent sound you’ll be happy with, which is rare for budget axes. You’ve probably noticed a trend on our list of a few companies having a recurring presence across the different price brackets. The “Big 4” companies (Gibson, Fender, Epiphone, and Squier) have been delivering some of the best guitars for decades and have led them to become dominant players in the scene. In this section, we’re going to take a quick look at each of them to give you a better idea of what you can expect from each brand as a whole. Founded in 1902 by Orville Gibson with the goal of making mandolins, Gibson quickly became a big player in the field of stringed instruments over the decades that followed. In the 1950s, the company teamed up with legendary guitarist Les Paul who designed his namesake guitar which has since become one of the most popular models anywhere in the world. Gibson has become famous for their expertly made instruments that have been played professionally by some of the greatest guitarists to ever live, like Slash. Enthusiasts love their no-compromise approach to design and the carefully managed production process that creates top-tier guitars. The best part? These guitars double as works of art that hold their value in the used market. In recent decades, the company has continued to expand their business by buying smaller brands such as Garrison Guitars and expanded their company to dabble in different hardware related to audio, such as headphones. 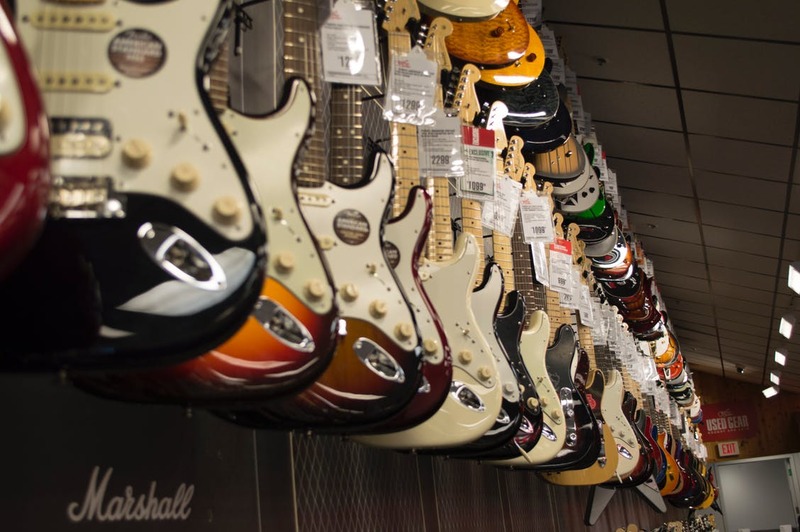 While the company filed for Chapter 11 bankruptcy in 2018, their guitar division is safe. They’re simply restructuring the company and liquidating some of their less valuable assets, which means the Les Paul you know and love isn’t going anywhere soon. 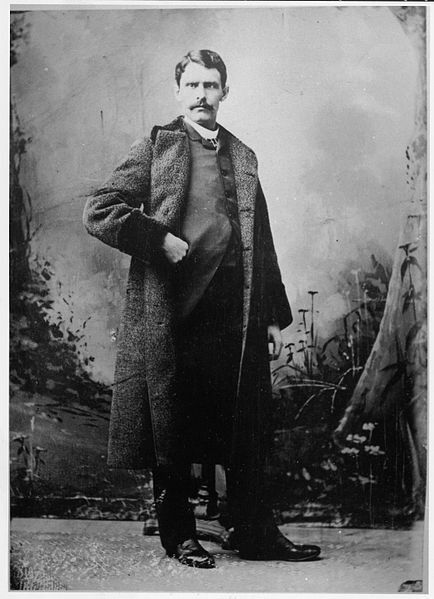 In 1873, Anastasios Stathopoulos founded Epiphone in Turkey and eventually brought his expert skills to the USA in 1903. From there, the company started to create everything from banjos to the electric guitars we know them for today. They were quickly regarded as one of the premier instrument manufacturing companies in the country. They were purchased by Chicago Musical Instrument Company in 1957 and are now a subsidiary of Gibson guitars. This is why many of their designs are shared across the two companies. In the modern era, Epiphone has been known for affordable instruments that service a variety of budgets and needs. Whether you’re a beginner or a professional player, Epiphone delivers guitars that are made with quality materials that will last you a lifetime. While Gibson remains the more premium brand, many enthusiasts are now turning to Epiphone as the quality of guitars for the price that you pay is almost impossible to beat at each price range. Comparatively late to the guitar party after being founded in 1946, Fender is well-known for having a hand in everything from accessories, to online lessons, to amplifiers, and even to small things like picks! Their iconic Stratocaster was debuted in 1954 and took the world by storm thanks to its great design, construction, and affordable price. The main thing driving fans to Fender is the name, reputation, and performance. The company delivers guitars across different price ranges thanks to their varied production centers. Their Made in Mexico line is more affordable, while those made in America are more premium. This versatility allows any player to purchase their famous guitars since they’re not priced out due to exclusive branding. With this worldwide appeal, it’s also incredibly easy to find authorized service centers, making repairs and replacement parts easy to come by. In 1890, Victor Carroll Squier founded the V.C Squier company, a string manufacturer for a variety of instruments. The company quickly made a name for itself as a retailer and was soon highly sought after for partnerships by larger companies. These partnerships were the beginning of a fruitful relationship with Leo Fender, who quickly seized the opportunity and acquired the independent company in 1965. Since then, Squier has become a manufacturer of Fender-style guitars for a fraction of the price. This was due to Fender’s increased difficulty competing with low-priced models from overseas. Squier brought craftsmanship and high-quality materials to the table in delivering designs that people wanted and are to this day one of the premier budget guitar manufacturers. They’re ideal for beginners to mid-range players but can still be enjoyed by everybody. You just had your fancy new guitar delivered and are now plucking through the strings one at a time. The next step should be obvious, and that’s to learn how to play! While there are a ton of options that work for different people according to your needs, we’re going to take a look at the three most popular websites today to give you a feel for what’s out there. 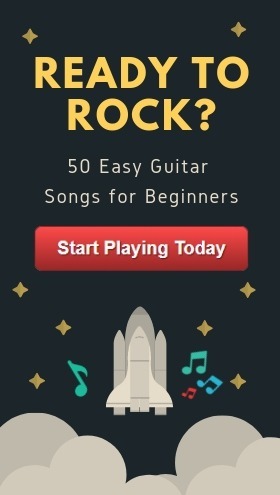 One of the earlier entrants to the online guitar learning scene, Guitar Tricks takes everything that’s good about learning online and rolls it all together into one convenient package. What really sets this website apart is the service. You have a full two-month money back guarantee, over 10,000 lessons and songs, a bunch of games to keep your learning fun and rewarding. They have live sessions with instructors to give you that face to face interaction that’s so crucial when learning fundamental skills and concepts. 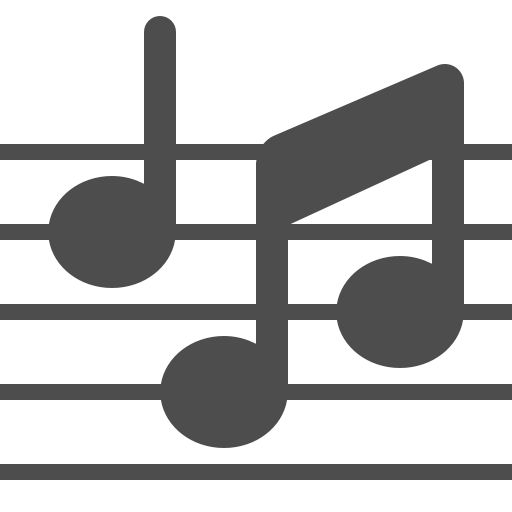 At $20 dollars per month, it’s right in line with Fender Play and more expensive than Yousician, but it does a great job at combining the best aspects of both services. The skill jumps between lessons are more manageable, learning is more approachable, and it has some of the same fun side distractions as Yousician. You give up on the community aspect and the high production values of Fender, but you’re getting quite a bit for your money with this service. It’s no surprise that one of the premier guitar manufacturers wants to keep you glued to their ecosystem. Their online service offers some great lessons tailored to beginners still struggling with the basics. Probably their greatest asset are their expert instructors who explain concepts clearly. These concepts are then reinforced through high-quality video footage to give you visual insight into how to move / position your fingers across the fretboard. Throughout your “path,” you’ll learn tons of riffs and songs, which should keep you engaged as you put together different chords and scales. The two biggest cons we found here are the price and user interaction. $20 a month is rather steep despite the quality of the education, and there are some minor issues that may crop up if you try to play along with the videos. This might be minor depending on your needs, but there’s no way to repeat the lesson automatically. This means after each attempt you’ll have to take your hand off your guitar to manually reset the video. There are also some fairly significant difficulty jumps between lessons, meaning it isn't 100% fully guided -- you'll have to do some self-guided learning to fill in the gaps. As it stands, Fender Play is a great tool for improvement, you just have to be willing to put in the work! Another great and increasingly popular online option is Yousician, the website formerly known as Guitarbots. The step-by-step learning approach offered by Yousician breaks down your leraning path into two skills: lead and rhythm guitar. These two "paths", so to speak, serve to teach you practical abilities rather than abstract concepts. A great feature of Yousician is its community focus. You can ask questions, post videos, and get tips from millions of other players. It's a great opportunity to keep you improving, even when you hit a plateau. At only $9.99 per month this is half the price of Fender Play. While this is a great option, the main downside here (depending on your needs & priorities, of course) is the fact that there is no real interaction with qualified instructors outside of the community. This means that while you can learn skills and get better independently, there’s always the risk that you can develop bad habits that would have otherwise been spotted a teacher. If you're picking up a new technique or trying something new, make sure you go slow and get the technique down first. Don't be sloppy or you'll regret these bad learned habits further down the line. 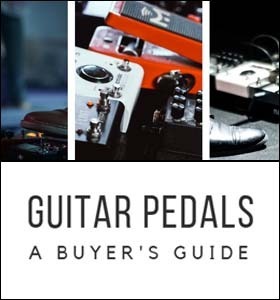 If you’re an aspiring guitarist, it’s easy to be confused about what to buy and where to turn for your next steps. 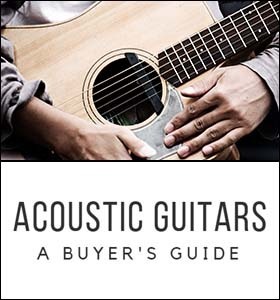 With this comprehensive buying guide, we’ve demystified which guitars are right for you in a variety of price ranges and have offered you a selection of models that will serve you well in your quest to become a guitar god. Get out there and get buying, and then why not take a look at some of the websites we looked at to get you started down your journey? You won’t be sorry you did.